Charlotte Olympia's founder Charlotte Dellal has always loved retro swimwear, so it made perfect sense to join forces with Adriana Degreas to celebrate her label's 10th anniversary. 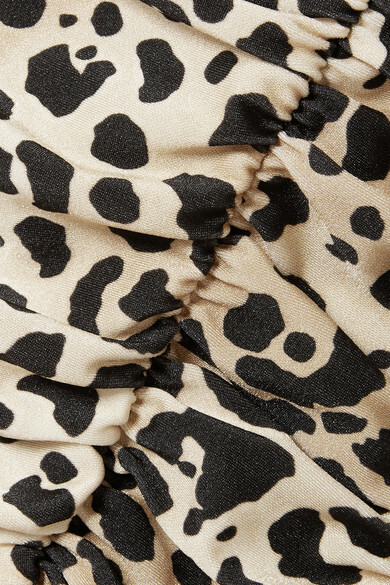 Made from sculpting stretch fabric, this one-piece is printed with playful leopard spots and has a ruched overlay and lightly padded cups for added support. Wear yours as a halterneck or detach the straps for minimal tanlines.